FREE admission & FREE parking for everyone. The Museum is open daily from 10 am until 5 pm. Closed 1st January and 24th-26th December annually. Leave the M1 at junction 38 (A637) and stay on this road through West Bretton and Flockton. At the Blacksmith’s Arms roundabout, take the third exit towards Horbury (A642). The Museum is about 2 miles from here on the left-hand side. Leave the M62 at junction 29, joining the M1 southbound to London. Leave the M1 at junction 40 (A638) towards Wakefield, and take the first right after the traffic lights (Broadway). The Malt Shovel pub will be on your right. At the end of Broadway turn right onto the A642 to Horbury and Huddersfield. Stay on this road for approximately 5 miles through Horbury Bridge and Middlestown. The Museum is on the right. Leave the M62 at junction 24 and follow the signs for Huddersfield. Once in the centre of Huddersfield, follow the signs for the A629/A642 and pick up the brown signs for the Museum. Parking and admission to the Museum is free for everyone. If you take the well-loved underground tour, you will get a traditional miners 'check' and be asked for £4 as a deposit. 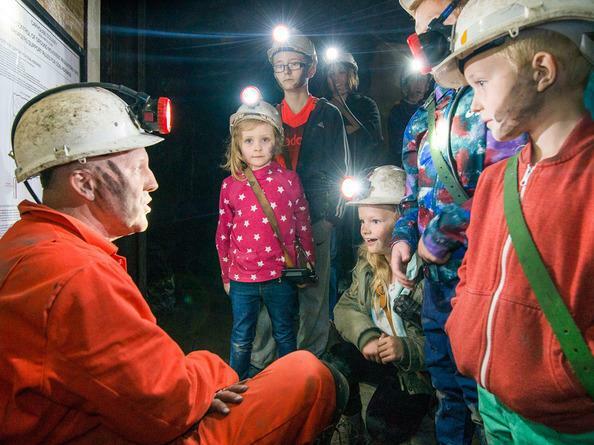 After your tour you can keep the check and donate the £4 to help keep the mine running or you can ask for your £4 back.